No one is perfect when it comes to dental health, but raising your awareness of current dental concerns is one of the best ways to improve you and your family’s dental health. A study of nearly 500 parents with children under age 12 was recently performed by Mintel. The focus of the research was to uncover how much parents knew about dentistry and the dental health of their children – the results were a little less than pearly white. Approximately 50 percent of parents take their children to the dentist on a regular basis. Approximately 20 percent of parents incorrectly thought that they only needed to take their children to the dentist after their teeth appeared. Approximately 50 percent of fathers and 63 percent of mothers made sure their children regularly brushed their teeth. Approximately 30 percent of children suffer from tooth decay. Remember, it is recommended that children see a dentist at least once every three months to a year. Equally important, toddlers should have their first dental exam prior to their second birthday. Looking for family dentistry in Eugene Oregon? It’s never too early to begin caring for your child’s future teeth. 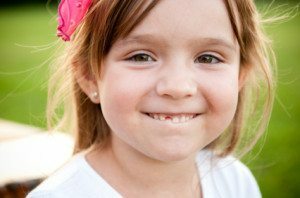 Many parents are unaware that there are preventative tooth decay methods available for even young children. For example, a fluoride varnish can help to make enamel stronger. Don’t wait – set a foundation for healthy teeth now by bringing your child into Feldmanis Family Dentistry.